In a deal worth approximately $4.65 billion in cash, Symantec will acquire the web security firm Blue Coat Inc. The Boards of Directors at both companies have approved the acquisition and the deal is expected to go through in Q3, 2016. Blue Coat currently has the largest share in the web security market and has GAAP revenue for the fiscal year ending on April 30, 2016 of $598 million and non-GAAP revenue of $755 million. The company has developed an extensive portfolio of technologies and has developed a Cloud Generation Security platform that is being used by more than 15,000 customers. The company continues to develop new products and expand its customer base and has achieved year-on-year growth of 17%. Under the deal, Blue Coat Chief Executive Officer Greg Clark will become the CEO of Symantec and will join the Symantec Board. The acquisition will help Symantec maintain is position as a leader in the field of cybersecurity, with its customers protected from a much wider range of cyberthreats. Symantec will be able to offer best-in-class protection, detection, and remediation of email, web, endpoint, network, and server threats. 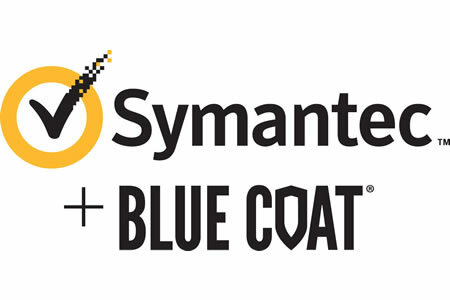 Symantec’s leading threat telemetry will be combined with the network and cloud-security solutions of Blue Coat to provide differentiated security solutions for hundreds of millions of endpoints and servers, as well as allowing Symantec to offer security solutions for cloud users, cloud data, and cloud apps. The acquisition will certainly benefit Symantec shareholders. The combined revenue of both companies in the past fiscal year would have been $4.4 billion. By the end of FY 2018, Symantec will have made run rate cost savings of $400 million from its cost efficiency program, and a further $150 million as a result of this acquisition. Investment in Symantec by Silver Lake has also been doubled to 1 billion and Bain Capital has agreed to invest a further $750 million in the company.